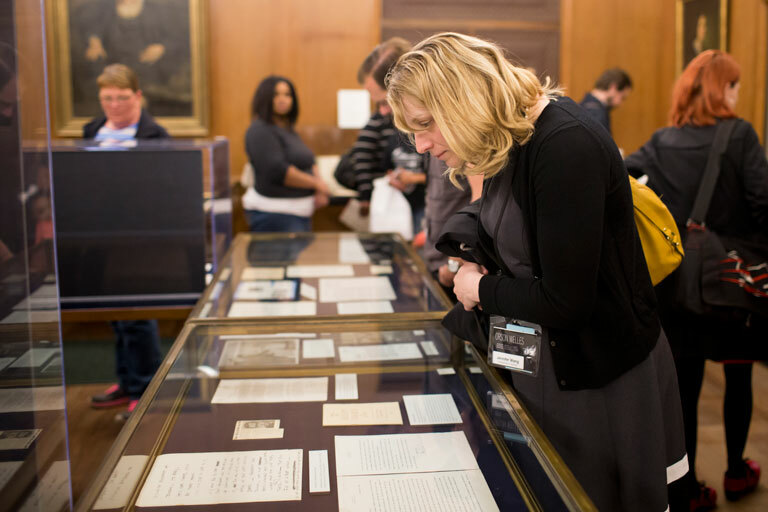 The vast print and electronic collections at IU Bloomington link you to ideas, information, and creations that span disciplines, media, and millennia. Our library system is one of the largest, best, and most innovative in the nation. IU’s libraries are open to the entire IU community and all Indiana residents. And our online tools and expert staff will help you find exactly what you need. The New Testament of the Gutenberg Bible. George Washington’s letter accepting the U.S. presidency. The world’s largest collection of mechanical puzzles. These are just a few of the millions of rare books, manuscripts, and other items in IU’s Lilly Library that are available for you to see and hold.